In a small Texas town where banker Val Rogers (E. G. Marshall) wields a great deal of influence, word comes that native son Bubber Reeves (Robert Redford) and another man have escaped from prison. 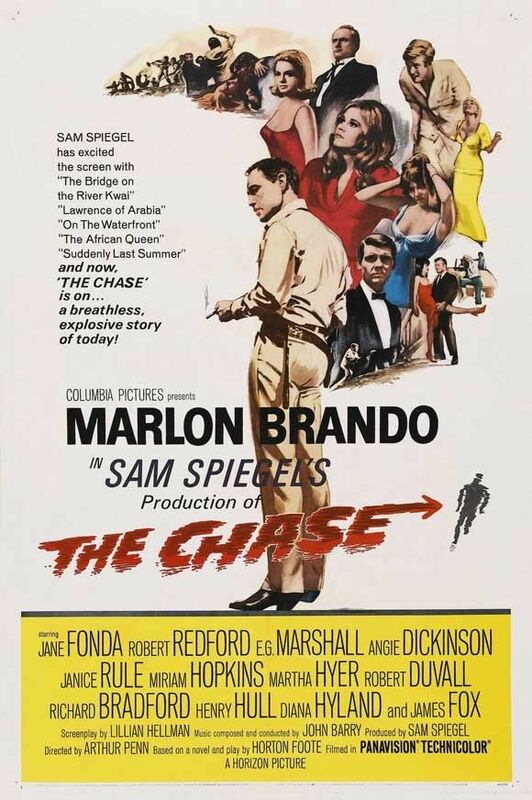 Sheriff Calder (Marlon Brando), who continues to believe in Bubber's innocence, expects him to return to his hometown, where Bubber's lonely wife Anna (Jane Fonda) is now involved in a romantic affair with Bubber's best friend, Val Rogers' son Jake (James Fox). Bubber is left on his own after the second fugitive kills a stranger for his car and clothes. The townspeople, conflicted about his guilt or innocence, socialize and drink heavily while awaiting Bubber's return. They include the hostile Emily Stewart (Janice Rule), who openly expresses her lust for Damon Fuller (Richard Bradford) in front of her husband, Edwin (Robert Duvall). Read more on Wikipedia.